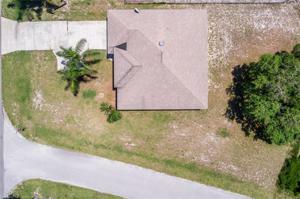 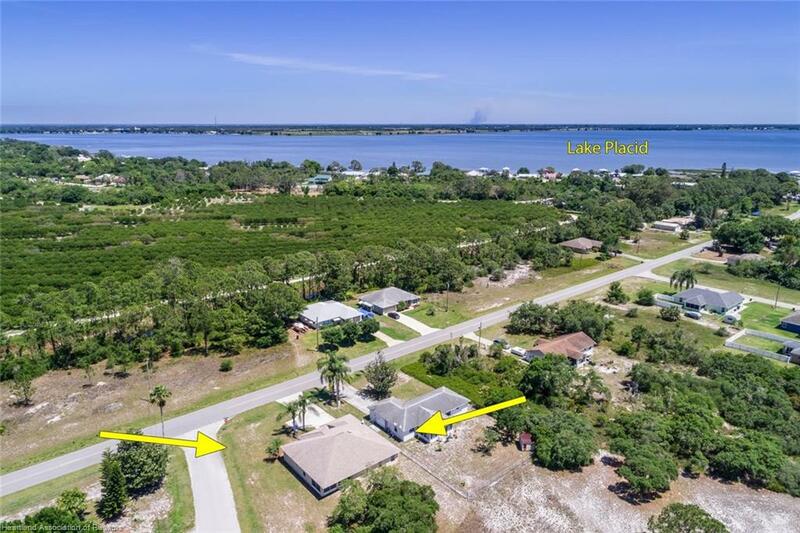 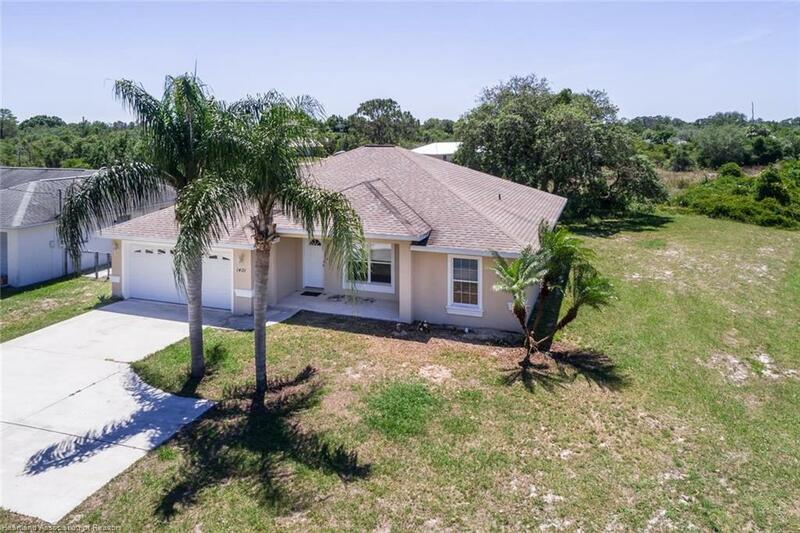 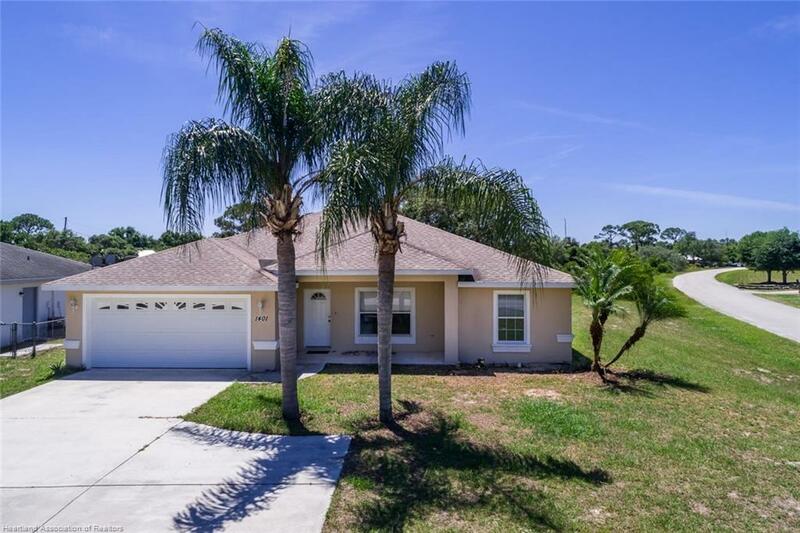 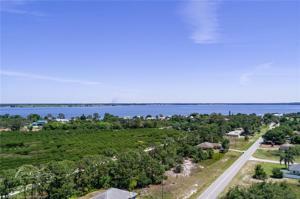 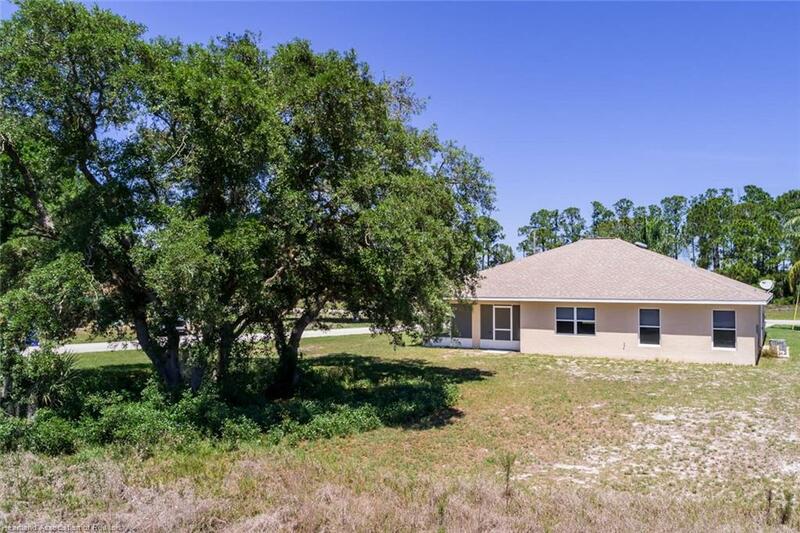 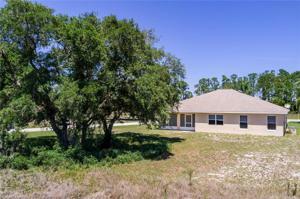 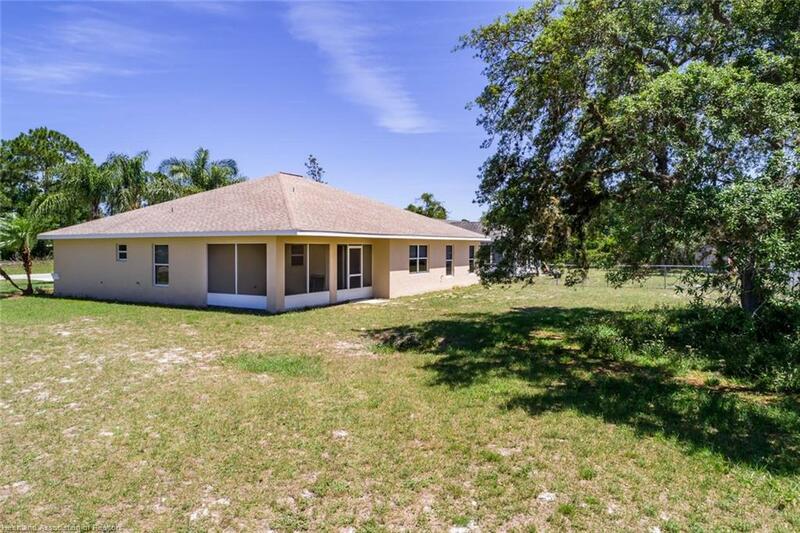 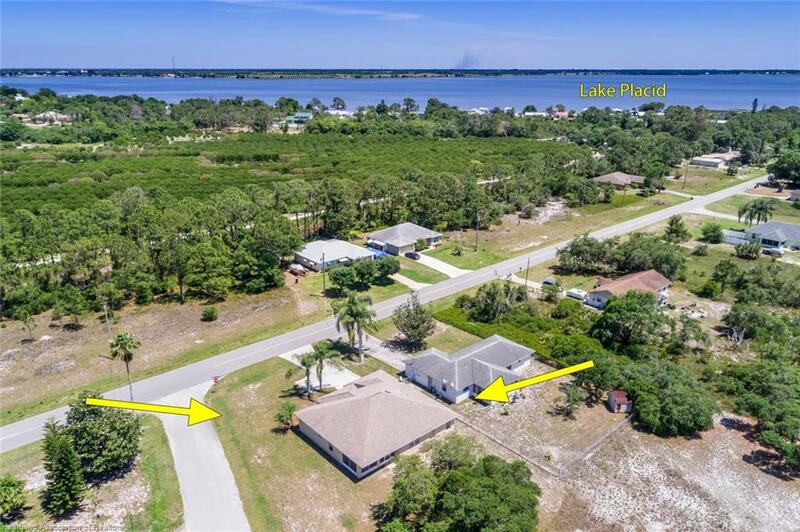 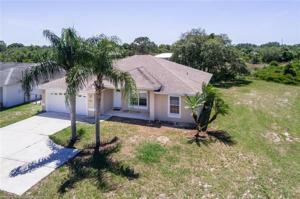 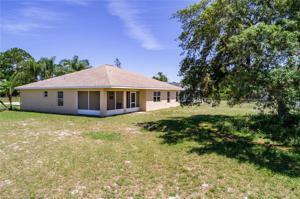 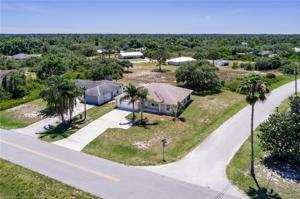 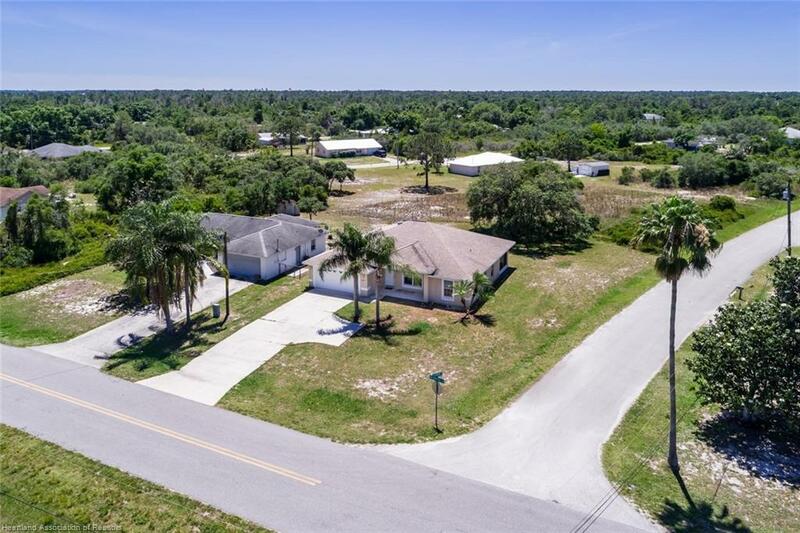 1401 Washington Ne Boulevard, Lake Placid, FL 33852 MLS# 263216 - Lake and Land Realty of Highlands, Inc. 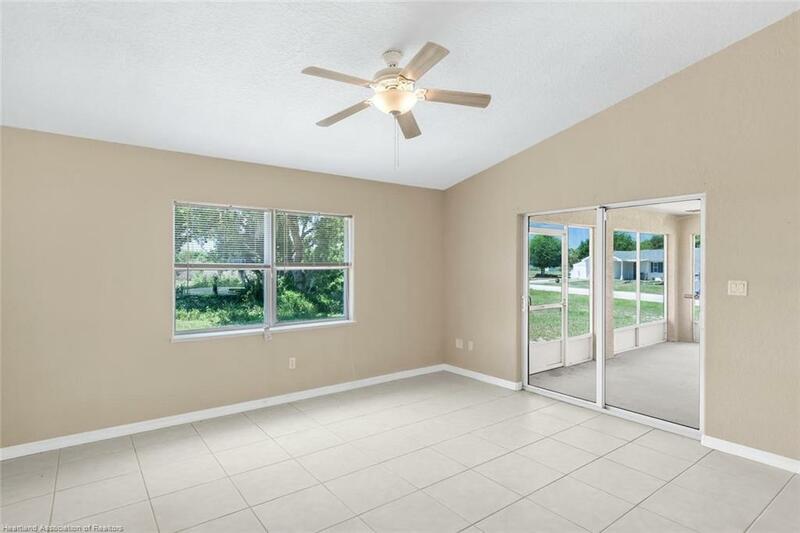 Opportunity for a great newer home on a corner lot with cathedral ceilings and all tile except the bedrooms. 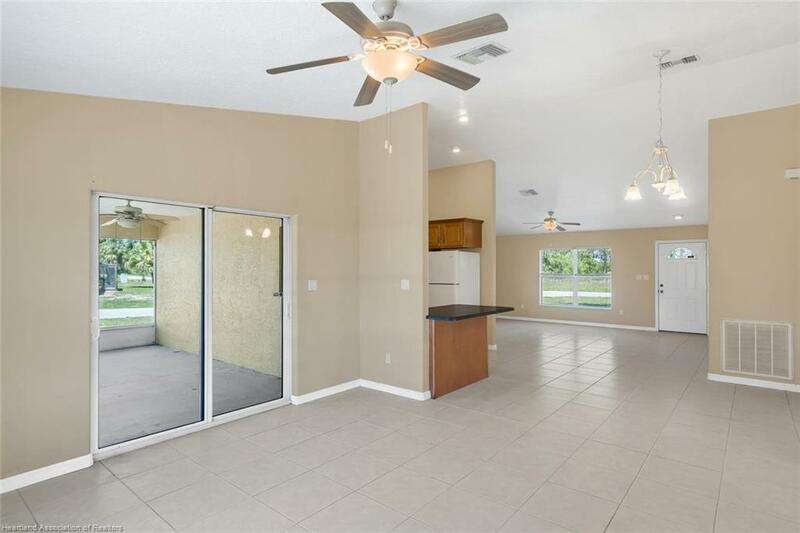 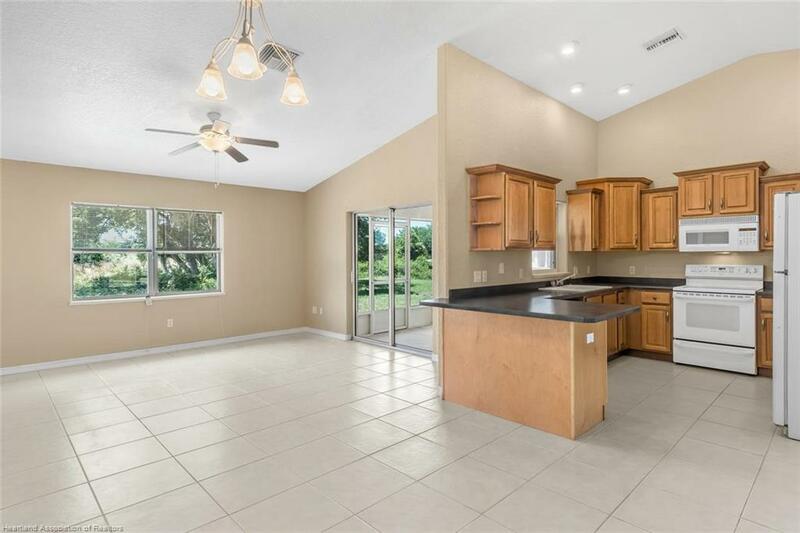 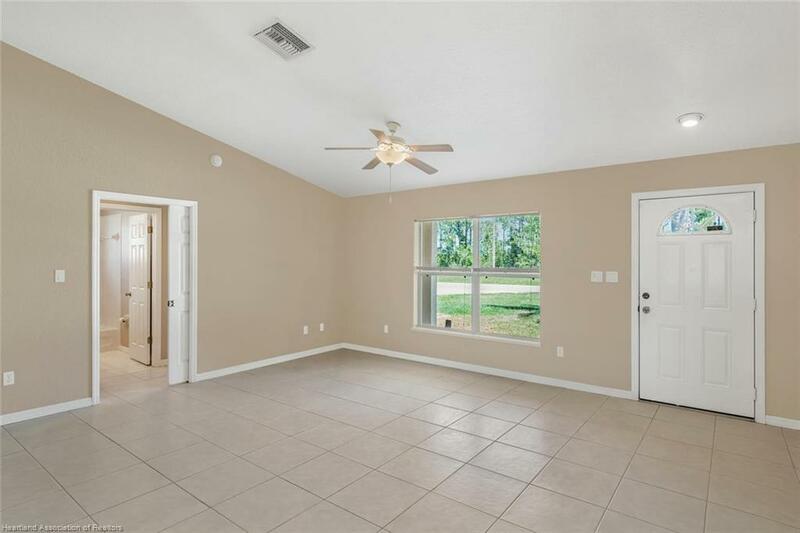 This modern open split floor plan has an inhouse laundry room and kitchen open to the living room and family room with the dining room between the two rooms. 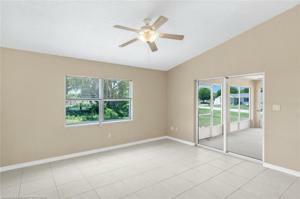 Beautiful white 18" ceramic tile in living room, kitchen, dining room and family room. 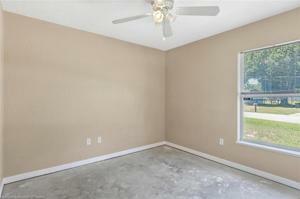 The 14\ cathedral ceiling, rounded wall edges add a modern updated interior. 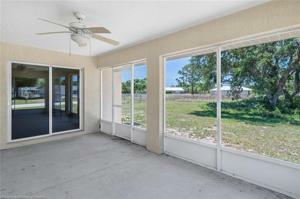 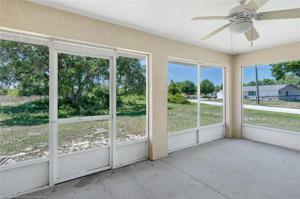 Double pane french window for energy efficiency and a huge screened porch with a view of open land behind the house that is mostly protected from building behind the house on the empty lots so your not looking into the back of another house. 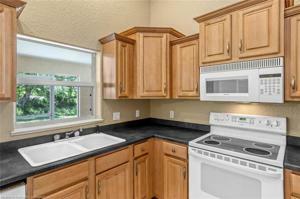 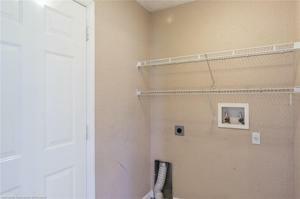 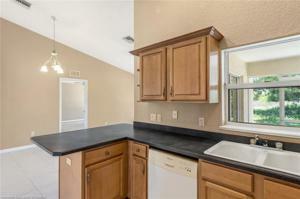 The kitchen features lots of storage and real wood cabinets with finished crown molding. 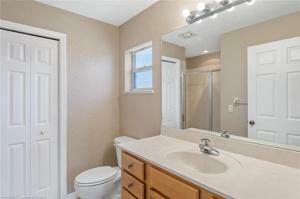 Double porcelain sink and all white appliances that match. 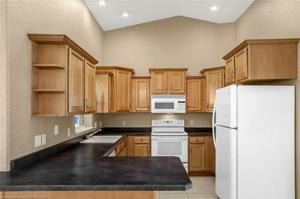 Hard surface counter tops and recessed lighting. No need to paint as all the interior walls and exterior are super clean. 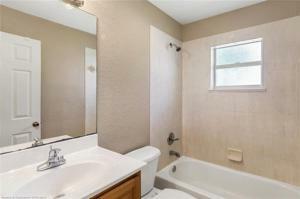 The master bath features a walk in shower. Guest bath has a tub shower combo. 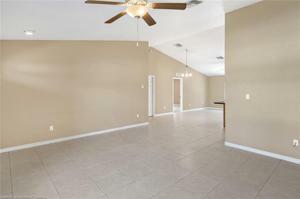 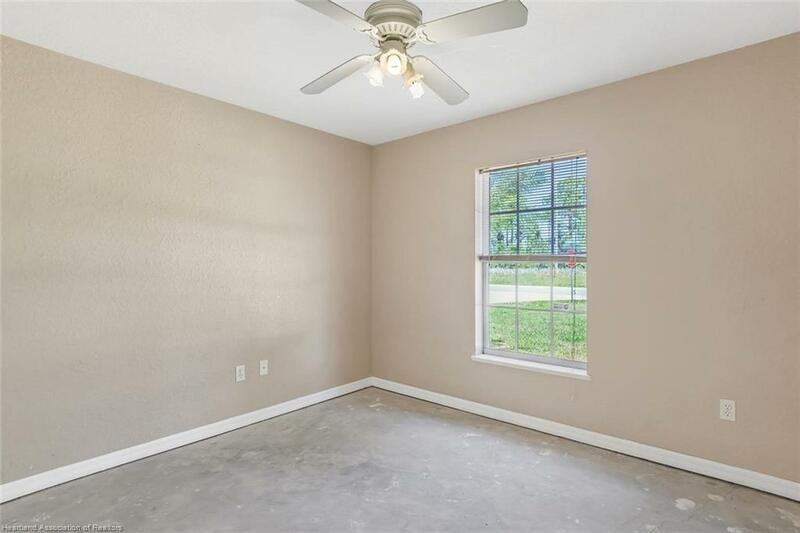 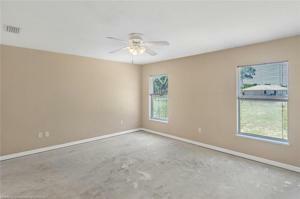 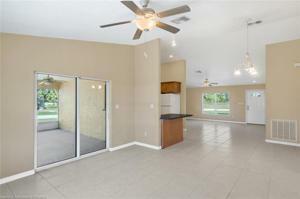 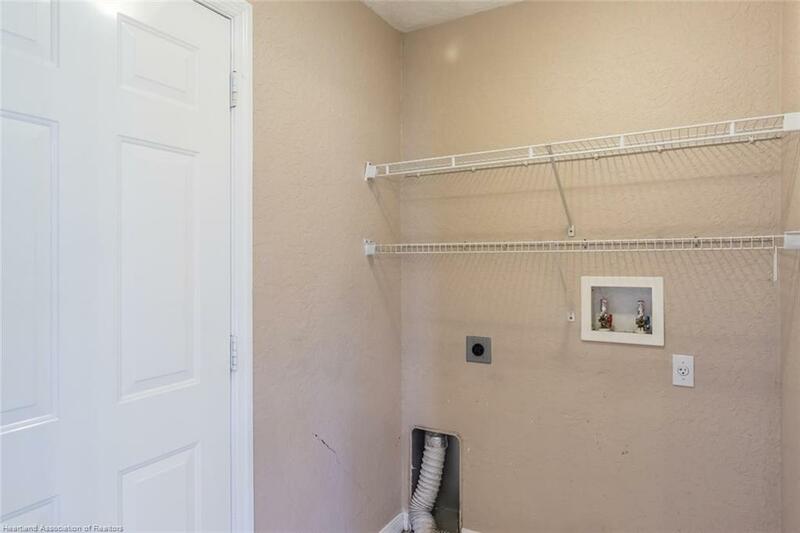 Includes ceiling fans in all rooms. 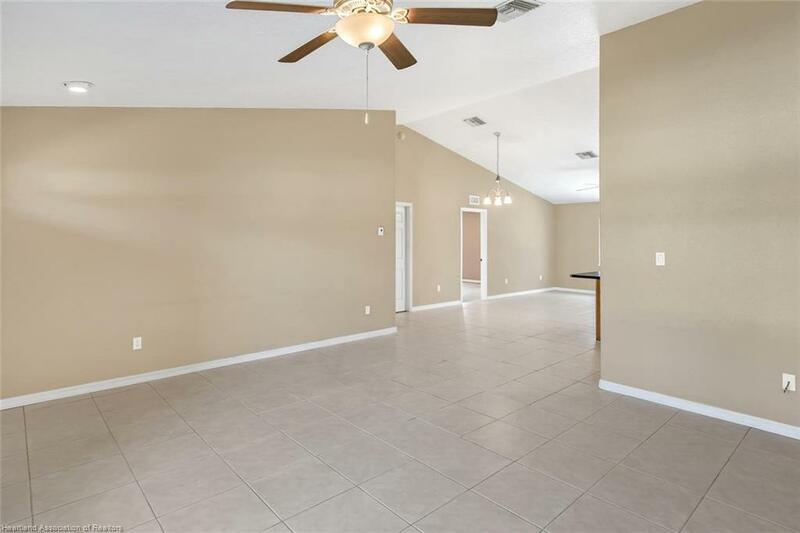 Everything is in excellent condition and move in ready. 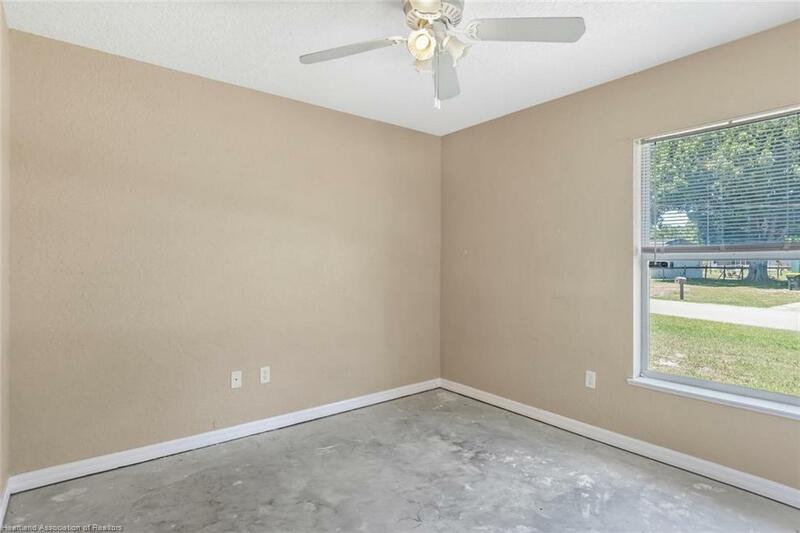 Owner is giving an allowance of $3000 towards flooring in the bedrooms. 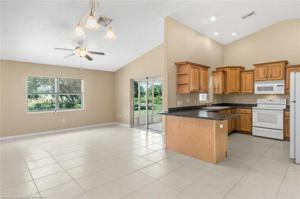 Close to lake June and Lake Placid both are 3,500 acre clear water lakes.